in junk gypsy world, every tee tells a story. and the first ever JG tee started really, as an accident. 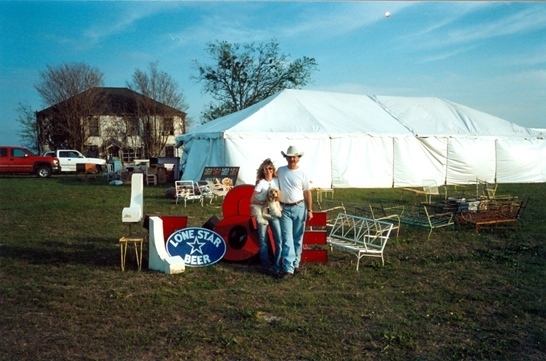 twas many, many moons ago at the famous round top/warrenton antiques week…we had been peddlin from show to show across texas for a couple of years buying and selling our junky wares. we had heard the legend and lore of round top antiques week but of course, could never have imagined the true motherload-junk-mecca that awaited. our maiden voyage to antiques week, we set up at marburger farms and then for the next show, 6 months later, we landed westward down the road a bit. 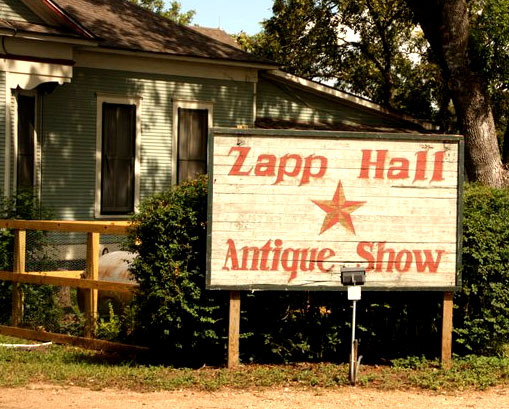 and then, 6 months later…fate intervened and we unpredictably set up camp at what would become our new junk home and our new junk family….zapp hall. the women flocked to the boxes like a macy’s 1-day sale. they were diggin through the neatly folded, freshly printed tees faster than we could unpack ’em. we decided the most prudent thing for us to do was to step back and stay outta the way. tees were flyin through the air and by the end of that day, we had sold almost every single tee BEFORE the antiques show even began. and on the next day, we sold the tees off our backs. literally. dirty & sweaty…sold the very tees off our backs. they wanted those tees, and they wanted them baaaaad. so which tee was the first you ask? which tee started it all? so here’s what happened…amie & i have always been avid doodlers and collectors of quotes….and this particular quote “well-behaved women rarely make history” by laurel thatcher ulrich had been stuck to amie’s mirror since our college days. she ran across this vintage image of old cowgirls arm-in-arm at the cowgirl museum & hall of fame. and to her, it signified a million different things. trailblazer, strength, aspiration, inspiration, independence, empowerment, sisterhood, beauty, STYLE. amie’s mind is like a glittery tumbleweed spinnin’ through the universe…it sometimes touches the ground but stays a few feet off most of the time as it spins and twirls. it’s cluttered and messy and beautifully, whimsically chaotic and kinda like a roadside diner, it’s 24/7. so with no formal training in graphic design, amie gathered elements from her favorite things, an old cowgirl photo, an inspiring quote from one of history’s greatest wordsmiths, and a frame scanned from a fleamarket find – an old vintage photo album …. and the rest, as they say, is history. 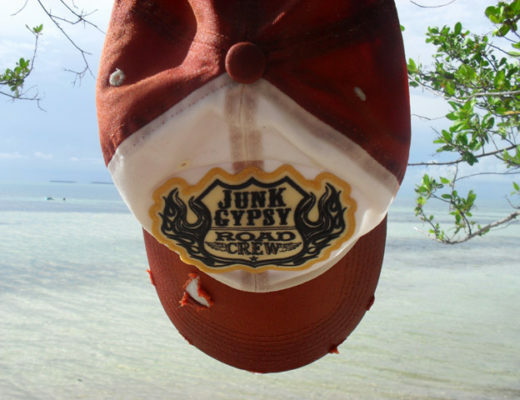 so now ya know…the story of the first ever junk gypsy tee. but stick around, cuz as i said earlier, every jg tee tells a story…and there’s many stories left to tell. and i was as wild, even wilder than they. I bought one of the first Junk Gypsy t-shirts at First Monday from Janie and Amie and still wear it! Love it!!!!! I purchased one of those original T’s right out of the box……dug to the bottom!!! Still have it………washed it soooo many times the back is the front and the front is the back………its see thru… 🙂 see yall soon!!!! I love my tee shirt…….it’s jest like the one in the picture! Mine has been washed a gazillion times and still has lotza miles left in it…..like my junk gypsy buds. Those daze of long ago at Canton are a faint memory – now that we have all moved on to the Big Junk Heaven of RT/Warrenton. Alleluia! See you soon!! What a great story. Now, I sure hope there’s a book in the works because I’m sure you could fill up each chapter with so many adventures you all have taken. WELL HOT DAMN, I STILL HAVE MY ORIGINAL JG TEE TOO………I”M WITH JOE PETE…..GIDDY GIDDY…..GIDDY UP! !!!!!!!!!!! I still have one of those tees somewhere. I bought mine about 10yrs ago at Canton. Does Junk Gypsy still have a spot at Canton? Money has been tight around her but I do believe I will have to surrender some for one of those shirts. Absolutely love it! Bought that bea-uty a few years back and i’m still wearing today, a little worse for wear but love it even more! I also found a sterling silver bracelet with those same words of wisdom and got a tattoo idea going on in the back of my Gypsy mind. Ya never know!!! And I was there to witness it all first hand! Y’all might have started with a tee…but you ended with a bang! I had a brown one years ago! I just don’t recall what happened to it, lol…..I started looking for it in my closet a few months back, I must have lost it in the marriage move….lol….I guess I need another! Bought this tee yeeeeeeeeeeears ago at round top!!!! 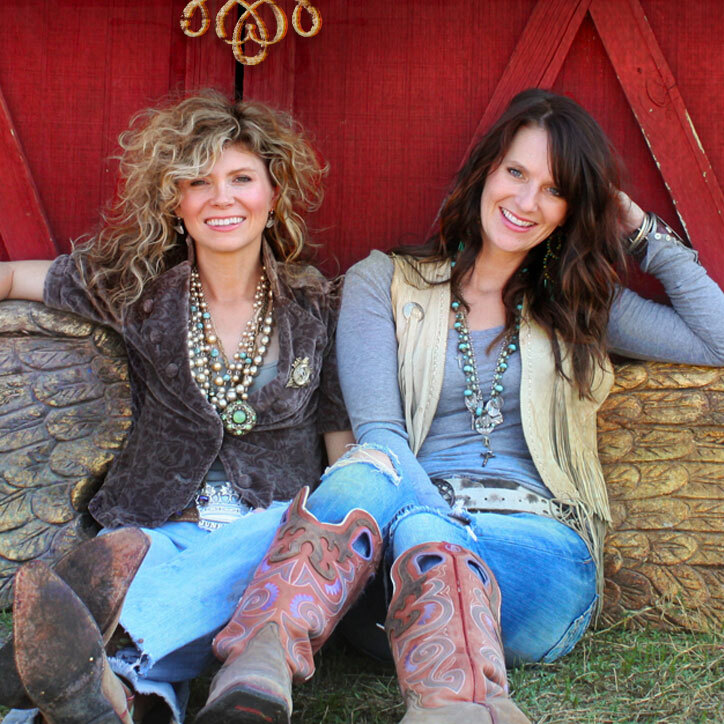 Just Love you Ladies and all of your “junky” ideas….in a good way!!!! I want the lime green one but the link isn’t working? Thanks!! I have this one and it will always be my favorite! Could you please, please, pretty please bring back the “believe in tall tales” tee? That is my all time favorite. When will the store open? Am planning a week-end away around shopping there. I Looooove ur style! U 2 darlings r my answer to my prayers. I’m pushing 70 yrs. old & since I found ur show my creative spirit has awakened. Thank u from my heart & spirit. And I would like to buy the print that u used on the headboard in season 1 episode 2 if it’s available. Thank u! Good bless u both & ur families. ルイヴィトン スーパーコピー「バッグ色は手触りがいいが、触ってみると、週囲の姉妹はこの綺麗、最近ずっと忙しくて、長い時間がかかりました、いい感じ ヴィトン スーパーコピー ルイヴィトンキーケース コピー当店ルイヴィトン 偽物は創業9年以上の老舗です。業界の長い歴史から言えばまだまだですが、創業 9 年以上の実績と信頼のあるお店です。全世界通信販売は6年前から行っております。さらに１年間で約数万件の販売実績があります。ルイヴィトン スーパーコピー 販売専門ショップです!ルイヴィトン コピー ブランドバッグ、財布、アクセサリー、手帳、ベルト、靴、腕時計、ネクタイ、スカーフなどを揃っております、日本国内最高級のルイヴィトン偽物ブランド激安販売!